No guide is really necessary but it could be reassurance for those who never though they could do it themselves. Though each series is a little different the same principles apply. What you need: A Philips Screwdriver. 2) Turn off the TV and allow it to cool down. We recommend letting it set for a good 15-20 minutes, JVC recommends an hour! 3) IMPORTANT: Unplug your TV. Make sure you do not unplug your TV prior to letting it cool down as the TV may be to keep an internal fan running. 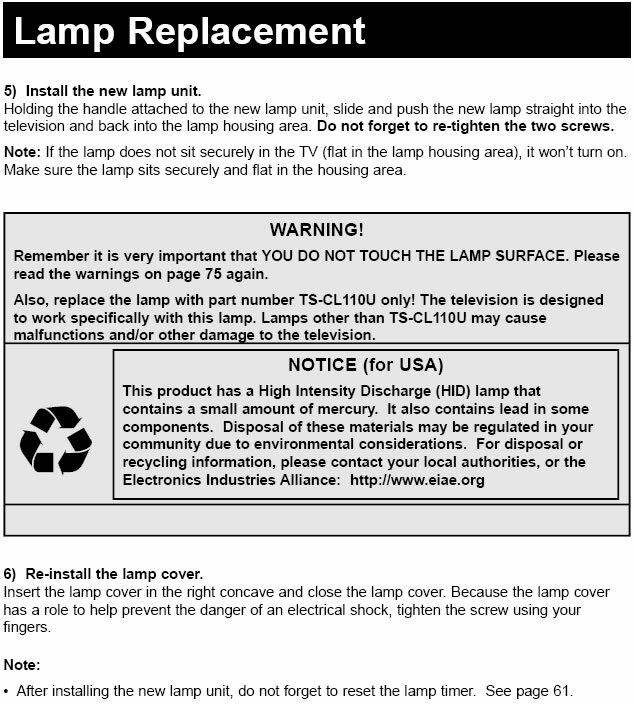 4) Remove the lamp cover screw and open the panel. You should see the back of the lamp enclosure now. Locate the two screws and unscrew them. 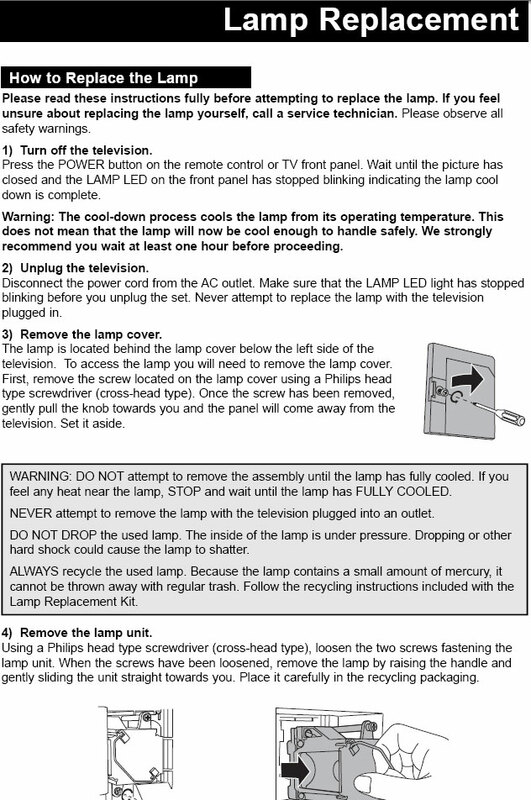 Attached below you will see how JVC describes the process in one of the user manuals (note this TV has the lamp enclosure on the back of the set). (Click to enlarge). ‹ How can I enter the Service Menu of my JVC HD-ILA TV? How many hours are on my lamp timer / counter?